Charles “Larry” Moses, program coordinator in the Office of Fraternity & Sorority Life since 1997, passed away October 14 after battling cardiac health problems; he was 60. Mr. Moses graduated from Wilmington College in 1972. He became a member of Phi Beta Sigma fraternity after graduating. “While he was known for being a strict, no-nonsense advisor, he was also so very often the first administrator and friend to stand behind, advocate for, and support students who needed someone in their corner,” said Dr. Scott Reikofski, director of Penn’s Office Fraternity & Sorority Life. Before coming to Penn, Mr. Moses worked in human services, holding positions at Cheyney University, the Glen Mills Schools, Devereaux, and Wordsworth Academy. 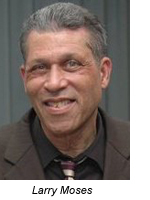 Mr. Moses had also been involved in theatre, acting in close to 150 plays and directing more than 100, including the award-winning “Purlie Victorious” for the Philadelphia Black Theater Festival. Mr. Moses is survived by his brother, Dyctis and sister, Ann; and a stepdaughter, Jasmine. A celebration of the life of Mr. Moses will be held tomorrow, Wednesday, October 24, from 5-8 p.m. in Irvine Auditorium. Dr. Robert J. Sharer, renowned archaeologist and curator emeritus with the University of Pennsylvania Museum of Archaeology and Anthropology and the Sally and Alvin V. Shoemaker Professor Emeritus of Anthropology at the University of Pennsylvania, passed away on September 20 from pancreatic cancer, at the age of 72. For over 45 years Dr. Sharer conducted archaeological research in Central America, investigating the origins and development of ancient Maya civilization, during which he directed four long-term archaeological projects for the Penn Museum. The first of these was at the formative Mesoamerican site of Chalchuapa in El Salvador (1968-1970) followed by research in the Verapaz highlands of Guatemala (1971-1974). His investigations at the UNESCO World Heritage sites of Quirigua, Guatemala (1974-1979), and Copan, Honduras (1989-2003) uncovered the remains of Classic Maya kings, their tombs and royal architecture. Born in Battle Creek, Michigan, Dr. Sharer grew up in East Lansing, Michigan, where he completed his bachelor of arts degree in social science at Michigan State University in 1961. With an interest in world history and anthropology, and with support from a Woodrow Wilson fellowship, Dr. Sharer pursued his graduate training in anthropology and archaeology at Penn, where he completed his master of arts degree in 1963 and his doctorate of philosophy in 1968 based on his research in El Salvador. After completing his MA, Dr. Sharer served in the military, working as a photo interpreter for US Army Intelligence in Washington, DC. After completing two years of active duty (1963-1965), he continued to serve in the Army Reserve and obtained the rank of Major. His professional career began with an appointment as assistant professor at Pitzer College, where he taught, 1967-1972. Then, Dr. Sharer joined the faculty of the department of anthropology at Penn as an assistant professor in 1972 and the Penn Museum as assistant curator in the American section that same year. He was promoted to associate professor and associate curator in 1975 and became professor and curator in 1984. His service to the Penn Museum included his appointment as curator-in-charge of the American section in 1987, a role that he continued for 22 years. In 1995, he became the first Sally and Alvin V. Shoemaker Professor in Anthropology (Almanac April 18, 1995), and retired as professor emeritus and curator emeritus in 2009. 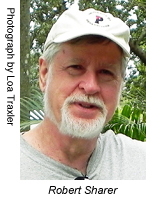 Author, co-author, editor, and co-editor of over 25 books and over 100 professional articles, Dr. Sharer's publications include major reports of his archaeological research such as The Prehistory of Chalchuapa, El Salvador (1978) and Archaeological Investigations in the Northern Maya Highlands, Guatemala (1987). Recently, he published a second edition of his book, Daily Life in Maya Civilization (2009) and the sixth edition of the standard sourcebook on Maya civilization, The Ancient Maya, written with his wife and colleague, Dr. Loa Traxler (2006). With co-author Dr. Wendy Ashmore, he published multiple editions of two popular archaeology textbooks, Archaeology—Discovering Our Past (third edition in 2002) and the related Discovering Our Past: An Introduction to Archaeology, the fifth edition of which will be published in 2013. In 2004, he co-edited Understanding Early Classic Copan, reporting major findings from investigations at Copan carried out by collaborating institutions at Harvard, Penn and Tulane universities along with the government of Honduras and the Copan Association. His final reports on the archaeological investigations at both Quirigua and Copan were in preparation with his field collaborators and former students. Among his many professional activities, Dr. Sharer served on the executive board of the Society for American Archaeology and as a senior fellow in Pre-Columbian studies at Dumbarton Oaks in Washington, DC. He was a fellow in the American Academy of Arts and Sciences and the Society of Antiquaries of London. He was a long-standing board member supporting the Jay I. Kislak Foundation, the US Foundation of the Universidad del Valle de Guatemala, the Copan Association, and other non-profit groups. Dr. Sharer is survived by his wife, Dr. Loa Traxler; his former wife, Judith K. Sharer, along with their children—J. Daniel Sharer, Michael Sharer and Lisa Matusiak; and seven grandchildren. Contributions to the Robert J. Sharer Maya Publications Fund will support the continued publication of his work at the Penn Museum and can be left with the Museum Development Staff at the entrance to the service and/or reception, or sent to Lisa Batt, Development Office, Penn Museum, 3260 South Street, Philadelphia, PA 19104. Make checks payable to "Trustees of the University of Pennsylvania" with "Robert J. Sharer Maya Publications Fund" in the memo line. Arlen Specter, the longest-serving United States Senator in Pennsylvania’s history (1981-2011) and a visiting professor at the University of Pennsylvania Law School since 2011, died October 14. He was 82. The University of Pennsylvania Medal for Distinguished Achievement was conferred to Mr. Specter in 2002 (Almanac November 5, 2002). Before his election to the US Senate, Mr. Specter served as assistant district attorney and as district attorney of Philadelphia. A native of Russell, Kansas, Mr. Specter earned his bachelor’s degree in international relations from Penn in 1951 and his law degree from Yale University in 1956. He is survived by his wife, Joan; and son, Shanin Specter, L’84, adjunct professor at Penn Law.